It’s that time of year again. (No, not the holidays.) It’s strategic planning season! 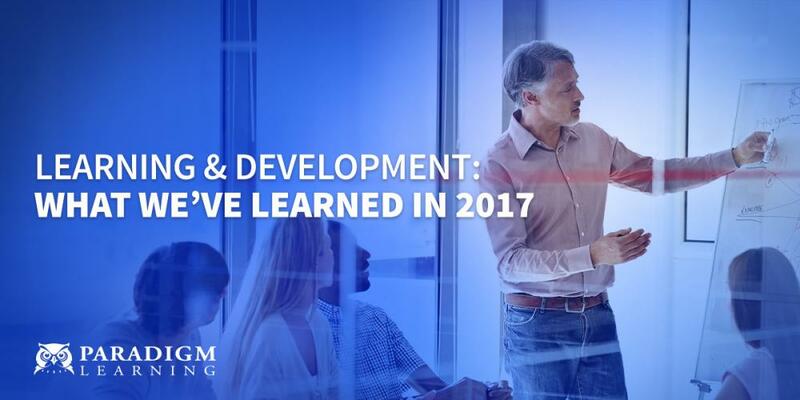 For most companies, the calendar year and fiscal year are concurrent, and they spend this time reflecting on the past year and planning for the next. We have such a meeting. Many of our clients do as well. Some meetings I’ve attended have included every member, the leadership team, the sales team, or a whole division. We attended one of our client’s just last month, with 110 directors and above. Throughout the year, it’s easy to focus on the goals set at the beginning and continuously work towards completing them. We spend so much of our time focused on specific opportunities and projects and details that we lose sight of the big picture. Now is a great time to look back at the last year. Did a salesperson win a big deal? Did an engineer create a new product? Did an accountant improve a particular process? Give recognition and encouragement to those who deserve it. As you reflect on last year and identify and celebrate big wins, you will inevitably remember some situations that should have played out differently. Did a salesperson align herself to the wrong sponsor during a sale? Did the engineer’s prototype contain an obvious mistake? Did a key invoice get missed? Everyone should accept responsibility and ensure the same mistakes aren’t repeated next year. No matter what size company, not everyone will know each other well, or in some cases even at all. Encourage employees to meet coworkers from other functions as well as their own. For example, make sure field folks meet some support people. 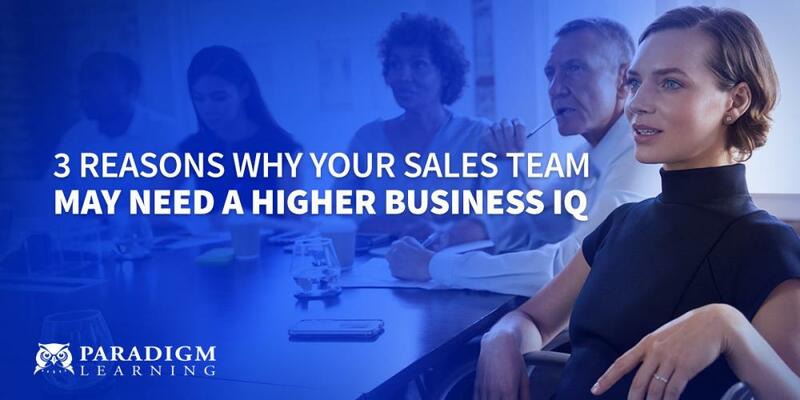 Have salespeople interact with other salespeople and find out what they’re doing that’s working. Planning meetings are an excellent time to share best practices. Once you celebrate wins and agree to improve upon mistakes, it’s time to set goals. Often, company-wide goals are communicated at these meetings. Usually, these goals are directed towards growth, as was the case at a meeting we were a part of last month. Every individual should put some thought into what steps he or she can take that will contribute to the overall company direction. Many of our clients take this opportunity to do some training to support the vision for the new year. This training usually involves some mix of innovation or new product/service training and some other skill training. 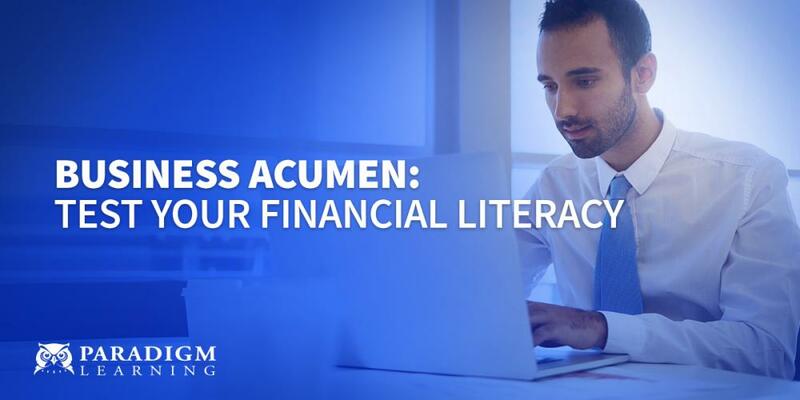 Last month, for example, our client brought together 112 directors and above and chose to offer our Zodiak business acumen simulation to connect their company strategies to their financial goals. Make time for some team building and just plain fun. I’ve heard of teams having mojito contests! Last month, they took the whole team to top golf. We’re holding a putting tournament this year at Paradigm. Fun contributes to a more relaxed environment, which makes sharing ideas and getting excited about the future easier. 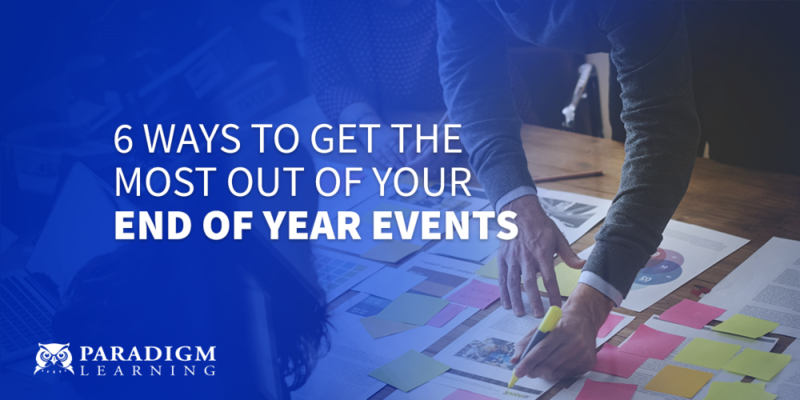 Does your organization hold a year-end or kick-off meeting? Do you emphasize these 6 topics? See how we work with all types of organizations to deliver strategic messages in a fun and engaging way. Learning Solutions for Every Audience.